I’ve been doing a fair bit of reading about (and application of) theological interpretation over the last short while (see the brief bibliography below) and thought I’d share some thoughts over the next few weeks concerning some of my readings. A thought that was particularly poignant by Joel Green (citing James McClendon) concerns the collapsing of time past, present and future for reading Scripture. 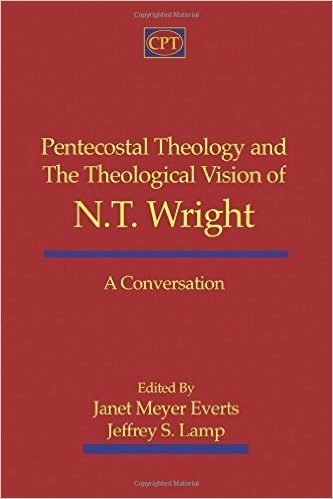 The dichotomy postulated concerning the “then” and “now” of the Biblical text and its world does not belong properly to a theological reading of the text. The community of God which received the texts of Scripture is the same community which pertains to this day. We stand in continuity as the one people of God. We do this in our practice of the sacrament of Eucharist. We partake of the supper (as it were) by the very hand of Christ Jesus who instructs us “take” and “eat”/”drink”. We obey along with the Church throughout the ages (past and yet to come) and across the globe. We do not simply receive it as individuals or individual congregations. We are in continuity as “One holy, catholic and apostolic Church” and our God is a God of the living (not the dead). It is in this same vein that McClendon states: “The present Christian community is the primitive community and the eschatological community.” [Green 2011: p.16, original emphasis] The world of the Bible is “strange” and removed from us not so much by time, culture, language, but by our own hearing (i.e., obedience) to the voice of the Lord. Our difficulty with Scripture is not that we have to leap over generations and cultures back to the era of Scriptural revelation, but that we must “hear what the Spirit is saying to the church”. It is a matter of faithful and faith-filled hearing. Adam, A.K.M, Stephen E. Fowl, Kevin J. Vanhoozer, and Francis Watson, Reading Scripture with the Church: Toward a Hermeneutic for Theological Interpretation (Grand Rapids, MI: Baker Academic, 2006). Briggs, Richard S., The Virtuous Reader: Old Testament Narrative and Interpretive Virtue (Studies in Theological Interpretation; Grand Rapids, MI: Baker Academic, 2010). Briggs, Richard S. and Joel N. Lohr, eds., A Theological Introduction to the Pentateuch: Interpreting the Torah as Christian Scripture (Grand Rapids, MI: Baker Academic, 2012). Green, Joel B., Practicing Theological Interpretation: Engaging Biblical Texts for Faith and Formation (Grand Rapids, MI: Baker Academic, 2011). 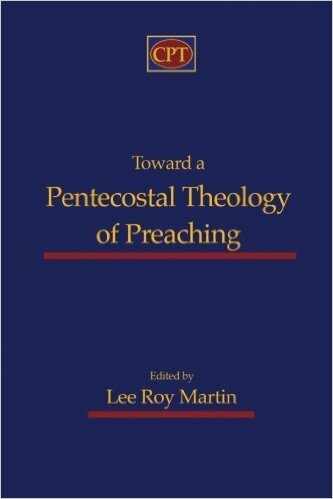 Martin, Lee Roy, The Unheard Voice of God: A Pentecostal Hearing of the Book of Judges (Blandford Forum, Dorset, UK : Deo Pub., 2008). Thomas, John Christopher, The Apocalypse: A Literary and Theological Commentary (Cleveland, TN: CPT Press, 2012). Treier, Daniel J., Introducing Theological Interpretation of Scripture: Recovering a Christian Practice (Grand Rapids, MI: Baker Academic, 2008). Vanhoozer, Kevin J., Is There a Meaning in This Text? : The Bible, the Reader, and the Morality of Literary Knowledge (Grand Rapids, MI: Zondervan, 1998). Watson, Francis, Text, Church, and World: A Biblical Interpretation in Theological Perspective (Grand Rapids, MI: Eerdmans, 1994).